Paulig Foods. As of April 1, this is the name of the new division that gathers the brands Santa Maria, Risenta and Gold&Green* under the same roof. Paulig Foods is part of the family-owned Paulig Group which, with the new division, strives to create a stronger platform for profitable growth and international expansion. With nearly 350 million Euros in turnover, and 830 employees, Paulig Foods sells their product range to 34 markets. 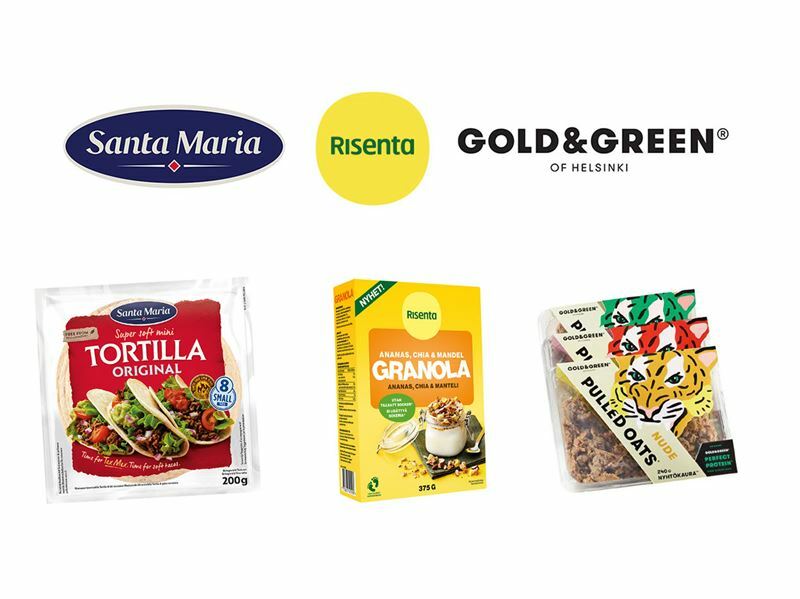 Santa Maria and Risenta are the two most well-known brands in the division, while Gold&Green is the new contender within vegetarian protein. Henrik Samuelson leads Paulig Foods and is CEO for the legal units of Santa Maria AB and Risenta AB. Henrik sees great potential for future growth with the new organisational structure. "With more flexibility and a broader portfolio, we have more powerful growth opportunities and can create stronger brands and offer better concepts, experiences and products. In addition, we use our collective expertise to the fullest. We are simply even better together," says Henrik.